it’s so cute surrounded by all those yellow leaves, nice shot! I like the colours and this detail with the flower on the handrail. Well seen! Adorable! And I love the background of this capture! Beautiful light and great, luminous fall colors. 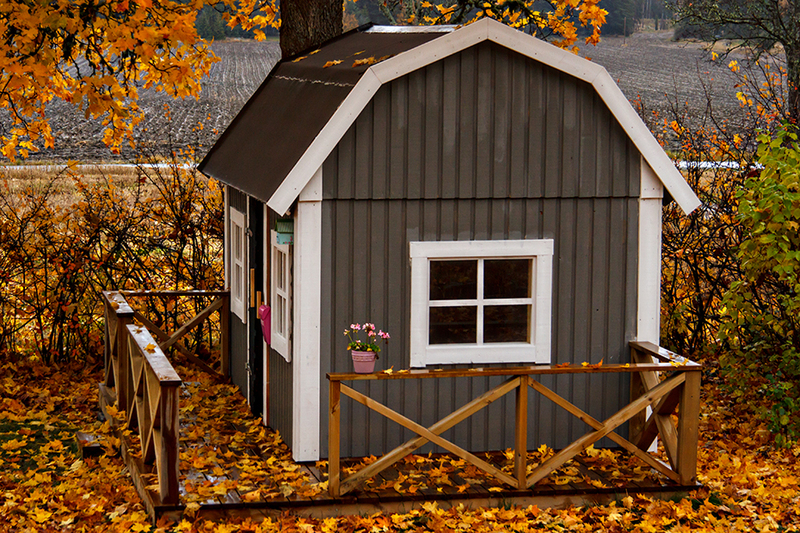 A charming playhouse amidst a charming season! Terrific fall image! Great colors, and such a fun looking place for Wilma. Norah, Rosie and Annmery would love it!